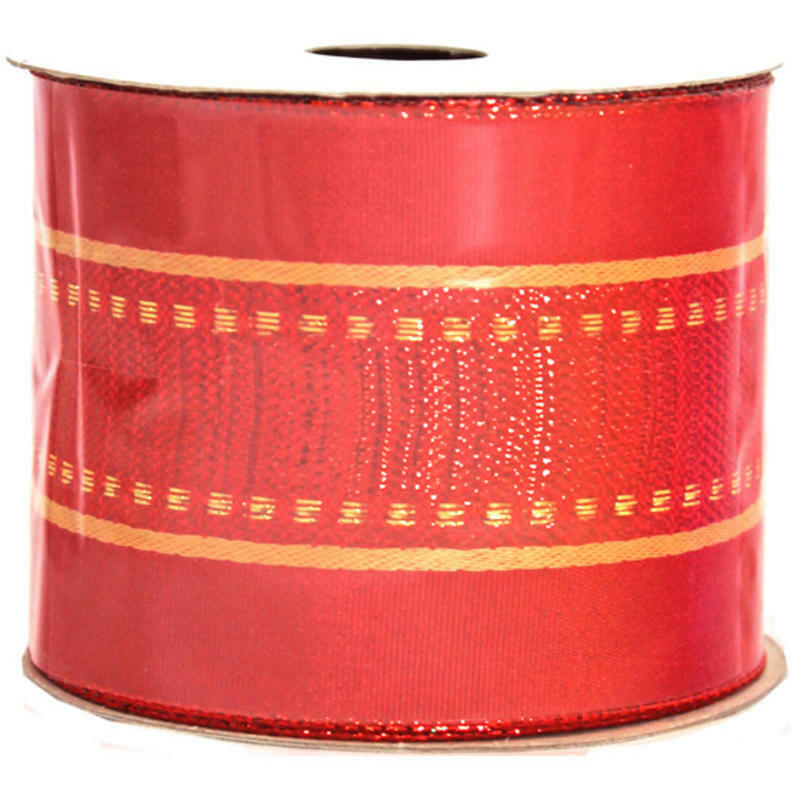 For a truly traditional look to your holiday decor, try this beautiful Red & Gold Woven Ribbon in a 9-metre roll. 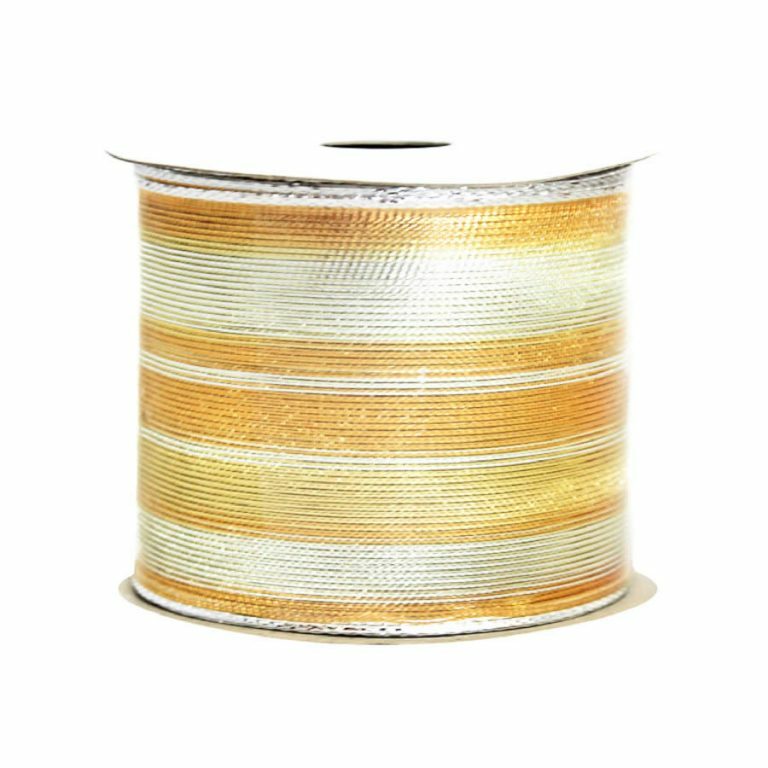 Each roll is approximately 7cm wide and offers a wire edging that makes it convenient and easy to use. 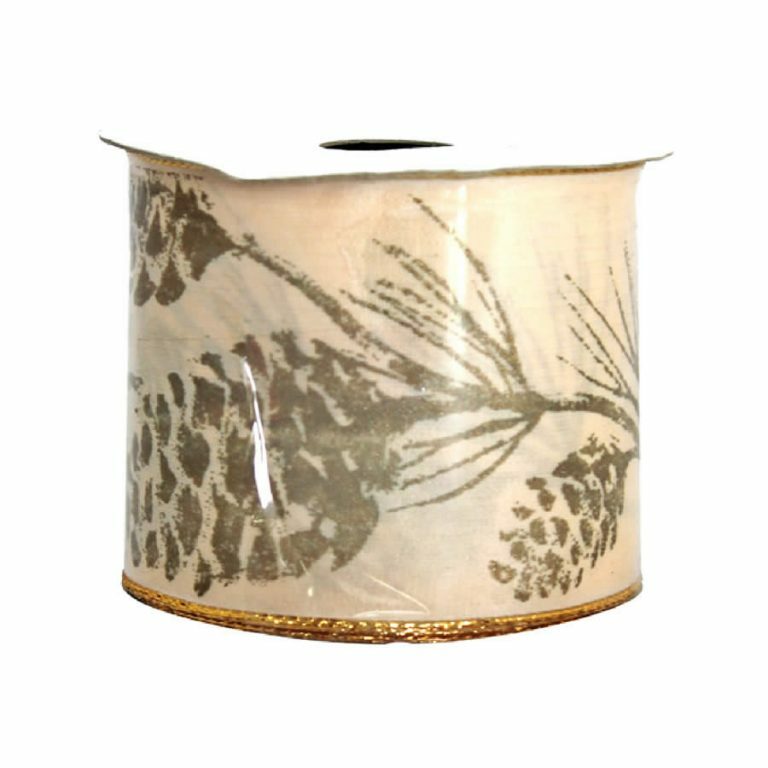 This soft and sumptuous ribbon will create a stunning contrast against the green boughs of your holiday tree or wreath. 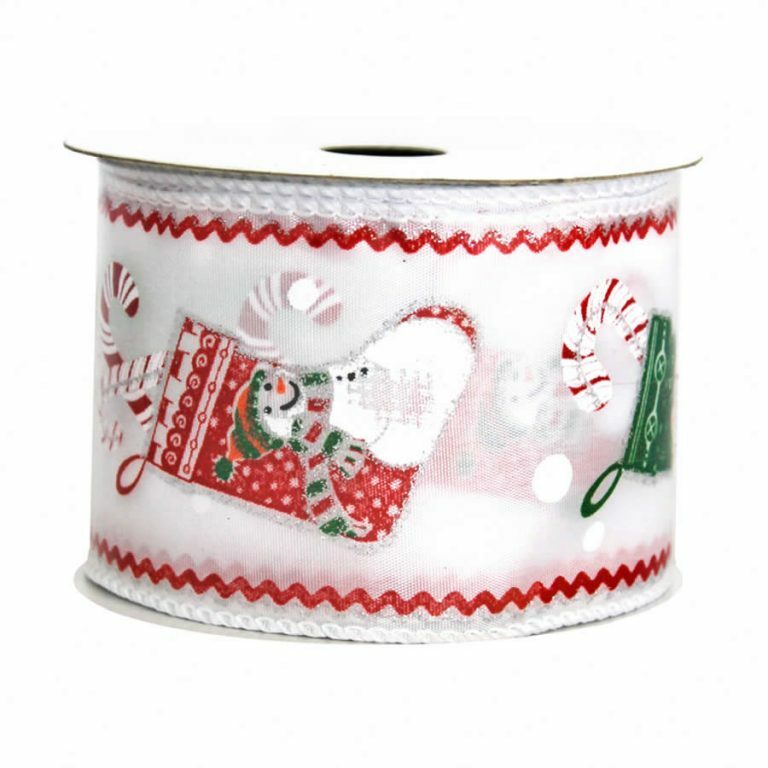 This has a rich, elegant look that also works well when looking to put together professional-looking trims for your festively wrapped gifts and holiday packages! 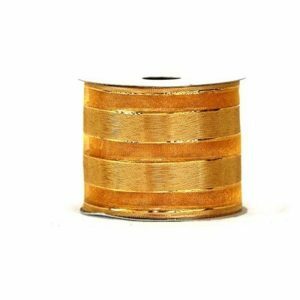 The red facade of the ribbon is given allure with a golden weave that adds a bit of glitz to your displays. A simple red braid accents the edge of the ribbon, and discreetly hides the wire edging underneath. Keep this on hand when you want to bring a cheery and spirited look to all of the spaces, places, and accents in your home this holiday season!